See the Groom in the Bride's sunglasses? First time I recall the name "Yorie". Sounds unique. 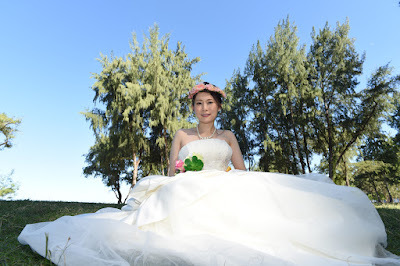 A search through "Brides of Hawaii" didn't bring up any other Brides by that name. 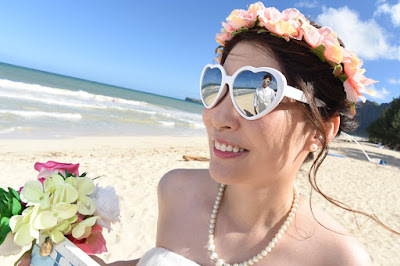 Awesome shot for our "Waimanalo Beach Bride". We call this pose, "Princess Bride". Great smile! 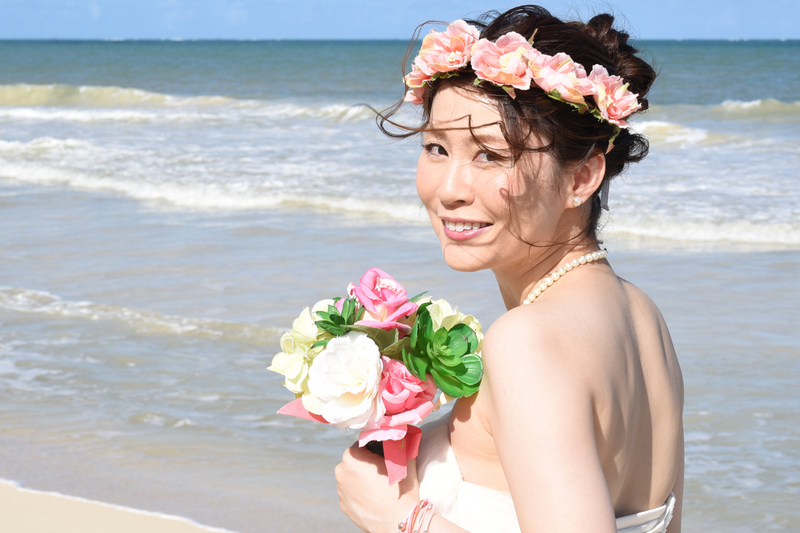 This is the kind of smile we like at BRIDES OF HAWAII!